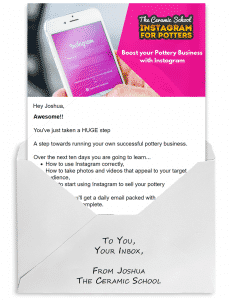 Kilns are an essential tool for any potter and great care should be used when buying and installing a kiln, and one of the most important parts of getting a kiln is figuring out the kiln location. Disastrous events can occur if you were to place a kiln in an improper environment or install it incorrectly. In this article, we are going to discuss where to place your kiln and what things to be aware of when considering a kiln location. When you have a home studio there are several places that you can place a kiln. Usually, the kiln goes in the garage or basement since both areas are more likely to have the proper flooring and room needed. It is also acceptable to place a kiln in a separate building that is unheated such as a shed. When it is in an unheated building it might be harder for the computer to work on the kiln, if it has an electric controller. This can be fixed by warming up the room until the computer can function again. When placing your kiln in a location it is important to remember that heat will be radiating from the bottom of the kiln. This means that there should only be non-combustible flooring underneath the kiln such as a strong tile or concrete. Weak tiles or linoleum can be damaged if a kiln is nearby. Never place your kiln on carpet or wood, and if a noncombustible floor is unavailable to you then you can create one. To go about creating a non-combustible flooring you can use two-inch concrete pavers which must go completely around your kiln by at least 12 inches from the outer diameter. 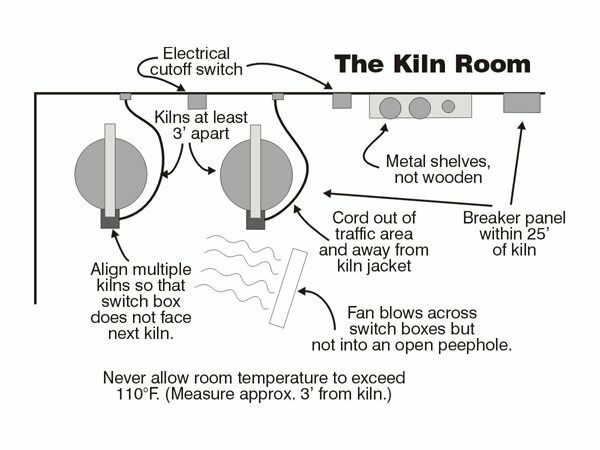 When you are placing a kiln in a room or near other kilns it must be 18 inches away from walls and kilns on every side. Keeping your kiln safe from moisture is very important so it is best to keep the kiln inside instead of outside where it can be damaged by the elements. If you have a sprinkler system in your location it is best to keep the kiln away from the sprinkler to avoid any potential water damage. The safe zone for kilns is between 105 and 32 degrees Fahrenheit. If your kiln is going to be outside of the safe zone it is best to not operate it until the temperature goes down. You can fire a kiln if the temperature is too low by turning on a space heater until the room is stabilized at a warmer temperature. When installing a kiln, it is important to think about venting. Heat and gasses can accumulate in restricted areas above both gas and electric kilns without a proper venting system. If the heat and gasses build up it can be very hazardous to your health. Having a vent will solve these issues since the heat and gasses will be vented to the outside and dissipate. There are vents that go above the kilns and others that are integrated into the kiln and help the kiln cool quicker. 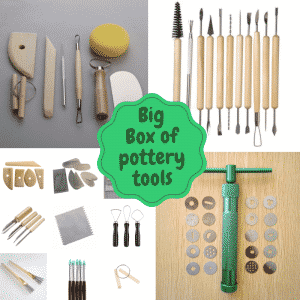 Whichever one you decide to go with will depend on the location of the kiln and your preferences. 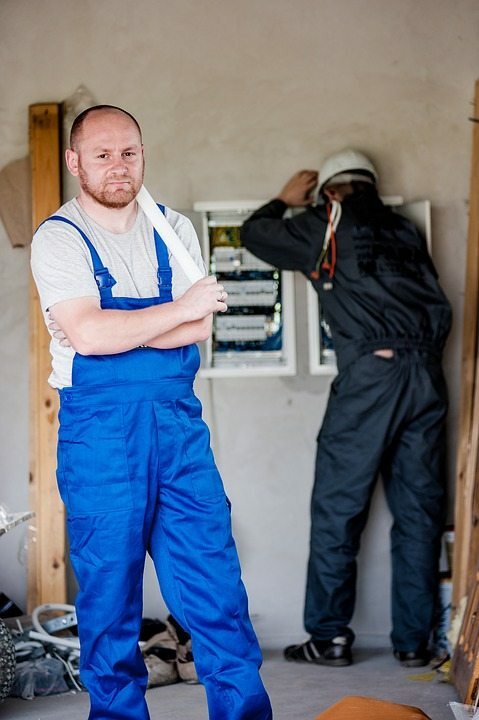 Consult an electrician to determine what your location draws, which kiln type will suit your electrical needs, the proper outlet installed for the power cord, and proper breakers installed for the voltage and amperage. Different electric kilns have different phases and voltages. There are some that run on 120 volts and can be plugged into a standard outlet, but they require you to check your breaker to ensure that proper performance is occurring for your kiln. Then there are 240, 208, 380 or 480 volts. The standard kiln runs on 240 volts and is a single phase. There are single phase kilns and three phase kilns. Three phase kilns are wired directly into the location and have no power cord while single phases do. The other main difference is that single phase draws out the power all at once and three phase draws it out in stages. Usually, extra breakers for your kiln are also installed in order to shut off the kiln through the breaker. You will need to consult an electrician to determine what your location draws, which kiln type will suit your electrical needs or what steps need to be taken to allow for a certain kiln type to work, the proper outlet installed for the power cord, and proper breakers installed for the voltage and amperage. In conclusion, kilns can be a hassle to install since they require so many precautions and specific needs. Once you get that all out of the way and install your kiln it will be smooth sailing from there. Issues can happen down the road with replacing parts, but consulting the company you bought it from can help with buying new parts or fixing an issue. Once you fire up your kiln and everything seems to be working in perfect condition all of the hassle and stress will have been worth it. 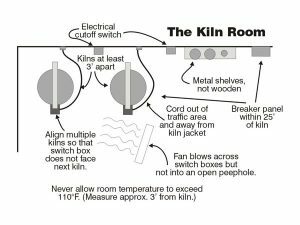 We hope this article informs you about the best place to keep your kiln and the things to be aware of when trying to find the best place to put a kiln in your location.